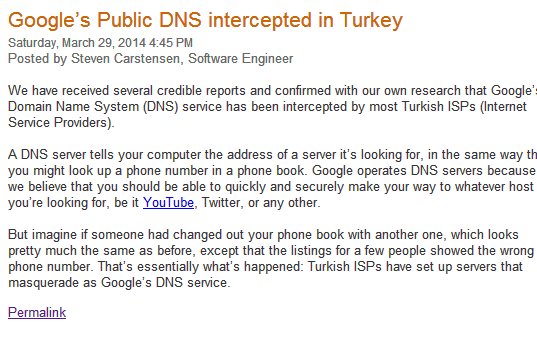 Software engineer of Google Steve Carstensen confirmed over the weekend that Google Domain Name System (DNS) service has been “intercepted” by Turkish ISPs after government orders to block Twitter. Steve revealed in a brief blog post that the web giant had confirmed with its own research previous reports about the Twitter ban which began on March 20th. 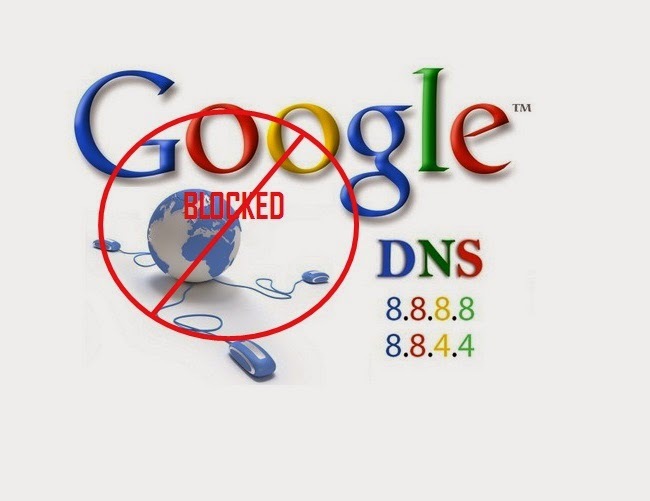 Google’s DNS servers had been used by netizens in the early days of the ban to circumvent ISP-level censorship, with their address 8.8.8.8 and 8.8.4.4 even graffittied onto public buildings and daubed on election posters by Turkish protestors to spread the message. Twitter fans in the republic soon took to VPNs, TOR and other workarounds to get onto their favourite site, while the firm itself posted up advice on how to tweet via SMS. All of which has made the ban, and that of YouTube which followed last week, pretty ineffective. In fact, there were reports of a 138 per cent spike in Twitter usage in Turkey the day after the ban took effect. It may all be a moot point now anyway, after an Ankara court last week ordered the government ban to be lifted.